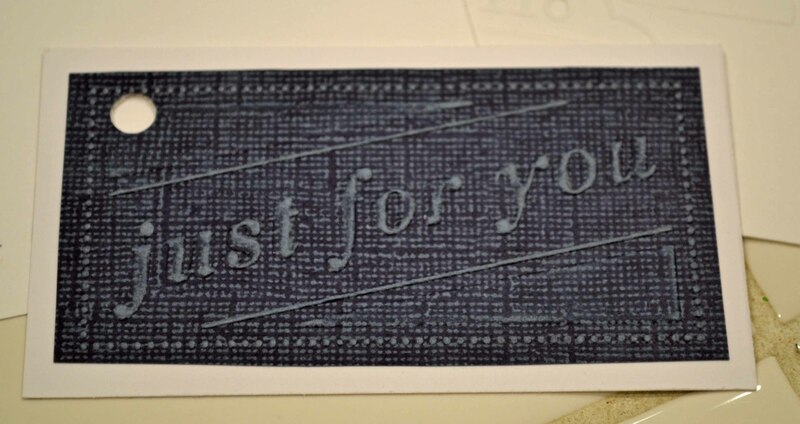 This is the kind of image I love to emboss, color and cut in multiples, ready to go on any needy card front. 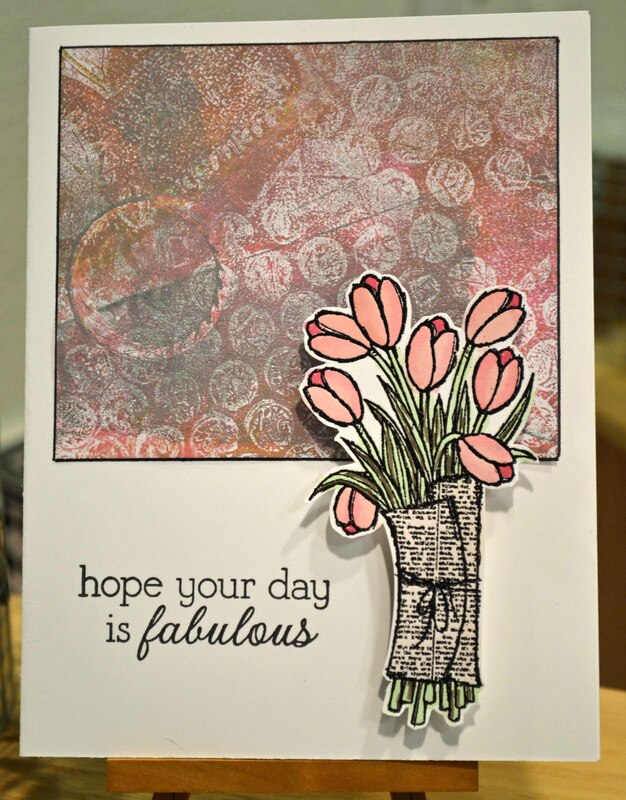 The card with just the background section had been hanging around on my desk for a while — it was made using leftover background pieces from my Gelli Arts prints (see here, and here for more on Gelli Art printing.) The sentiment is from an old Hero Arts set. 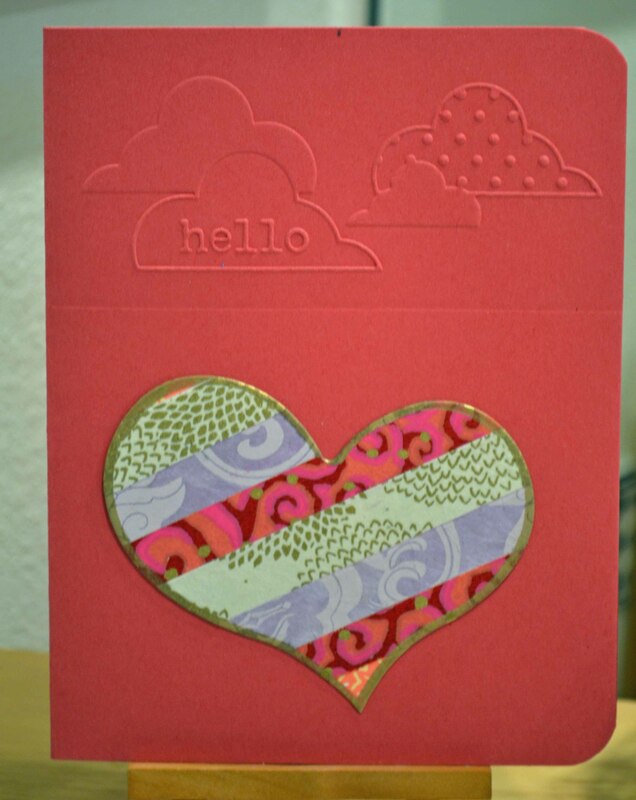 The flowers on all these cards were colored using various combinations of Ranger Distress Markers and Stampin’ Up! inks. 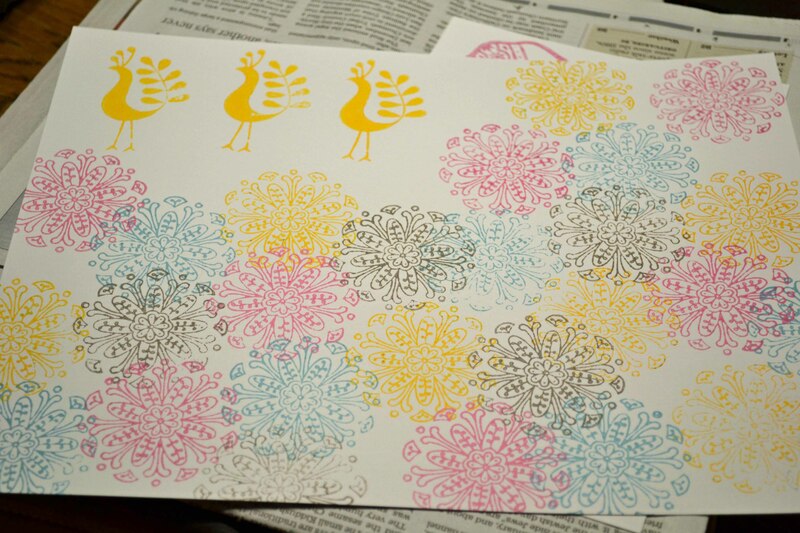 I applied both types of inks to my craft sheet and picked up color with my watercolor brush. Inks used include Distress Antique Linen (on the newspaper), Forest Moss and some other greens, and Stampin’ Up Old Olive, Positively Pink and Melon Mambo. 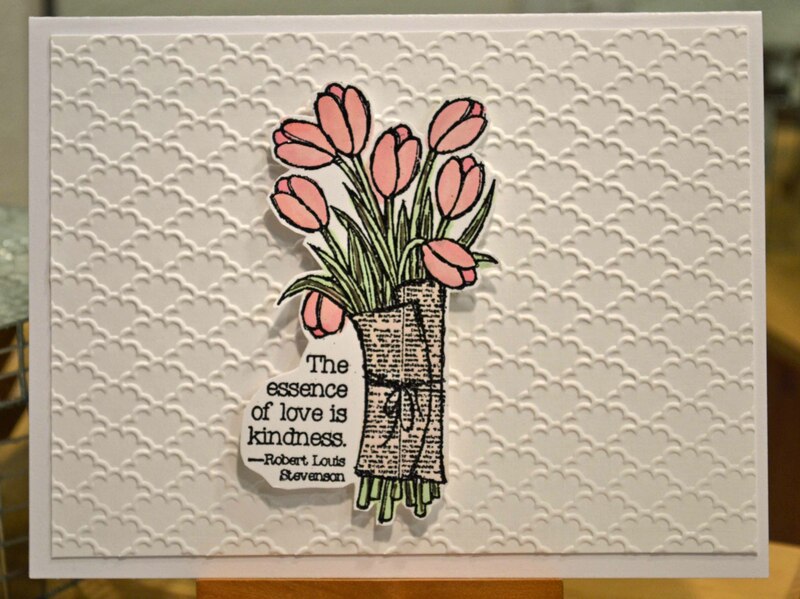 A touch of pink Wink of Stella was added to the tips of the tulips on the “fabulous” card. Blockwallah has a fascinating story that crosses continents, from Finland to India. Founder Laura Vacker and her Indian partner work with rural artists in India to produce these gorgeous hand crafted beauties, following an art form that goes back hundreds of years. The company’s name reflects its origin: ‘Block’ meaning stamps and ‘wallah,’ which is Hindi for seller. 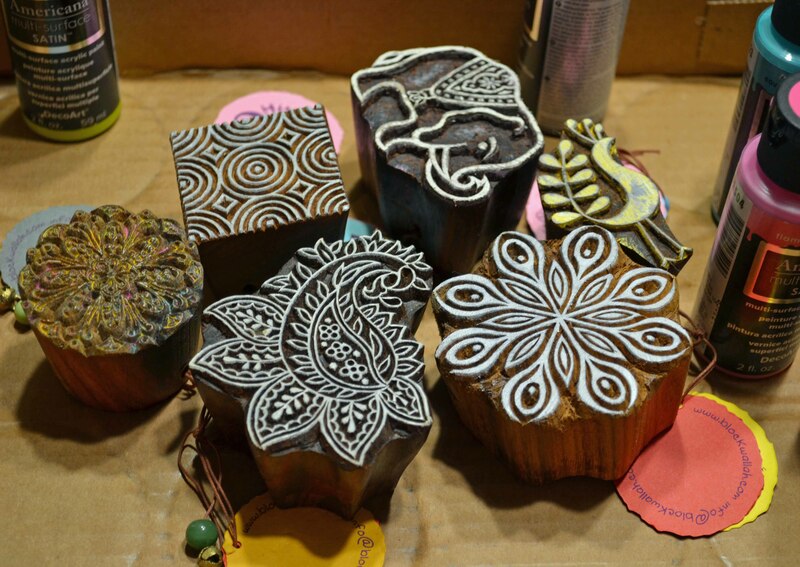 The stamps, designed by artists in Finland, India and Sweden, are carved into Shesham wood, also called Indian Rosewood, a sustainable hard wood. 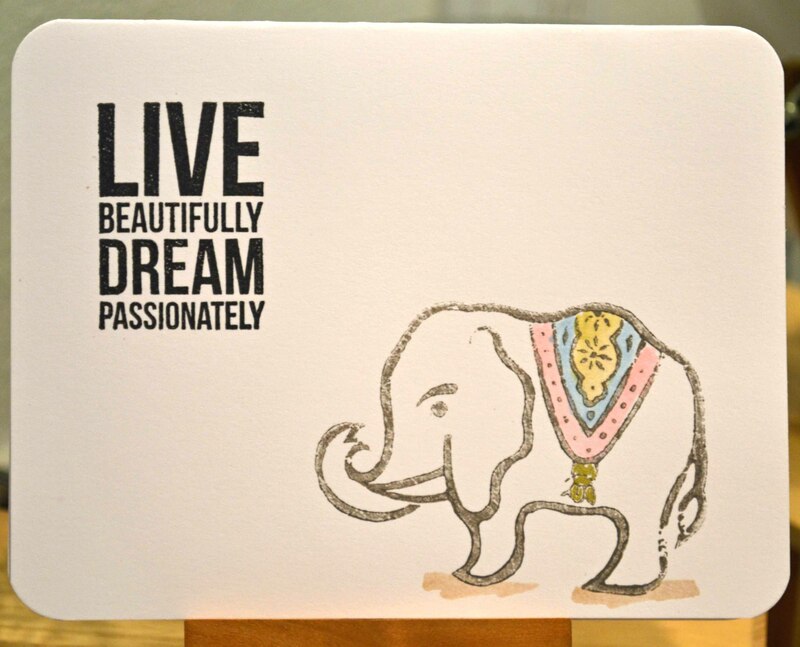 The company believes in ethical work practices that help empower impoverished Indian women. The blocks stamp surprising well if you know a few tricks, such as using fluid acrylic paint instead of traditional stamp ink and stamping on a well-padded surface (towel, mouse pad, stack of newspapers, which is what I used on theses.) 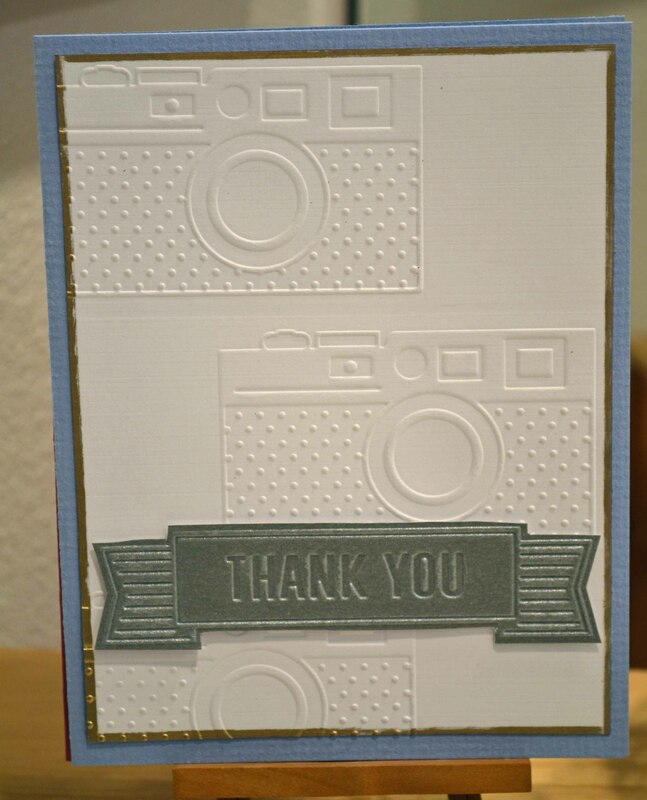 I used DecoArt’s Americana Multi-Surface paint (so nice and creamy and I love the colors!) in Steel Grey, Flamingo, Coastal Waters and School Bus. The stamps are beautiful to look at and easy to hold. Because they are all handmade, no two blocks are exactly alike and there may be some minor — very minor — imperfections … but that only adds to the charm! 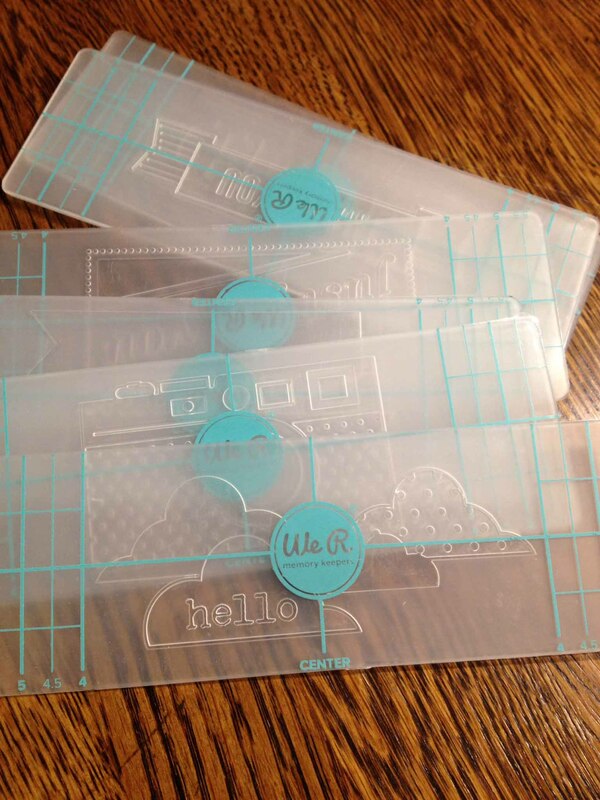 They are great for paper and fabric. I cut up my practice sheet to fit this white card base and edged it with a Marvy gold marker before adhering it to the card front. 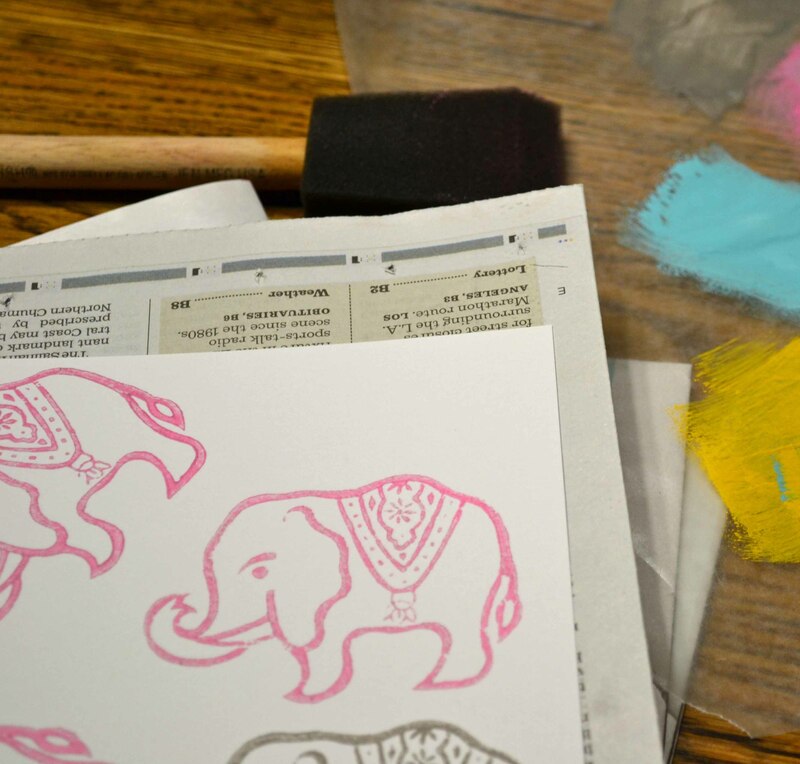 I colored the elephant’s cloth with a bit of Distress markers, scribbled on my craft sheet and gently painted in with my water brush. 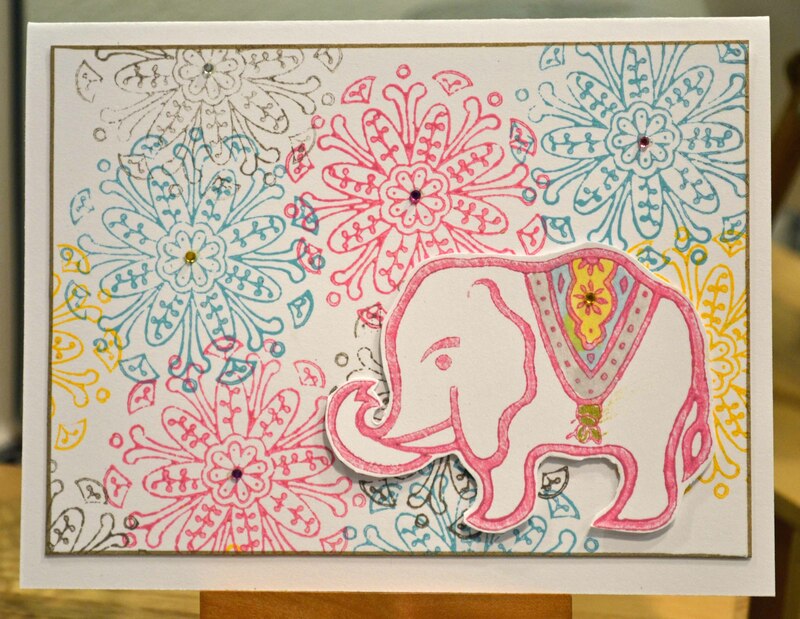 The elephant is popped up with foam dots and I added a few tiny Hero Arts gemstones to the flower centers. 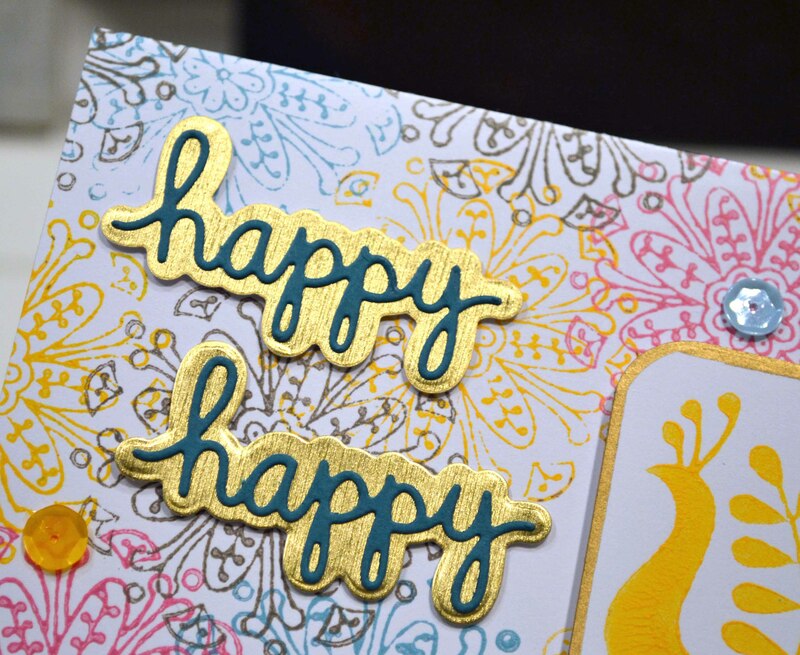 On this one, I added Lawn Fawn sequins and a die cut “happy happy” sentiment from Technique Tuesday (I love that this set has the cut out word AND the shadow. Below is a detail of that element.) 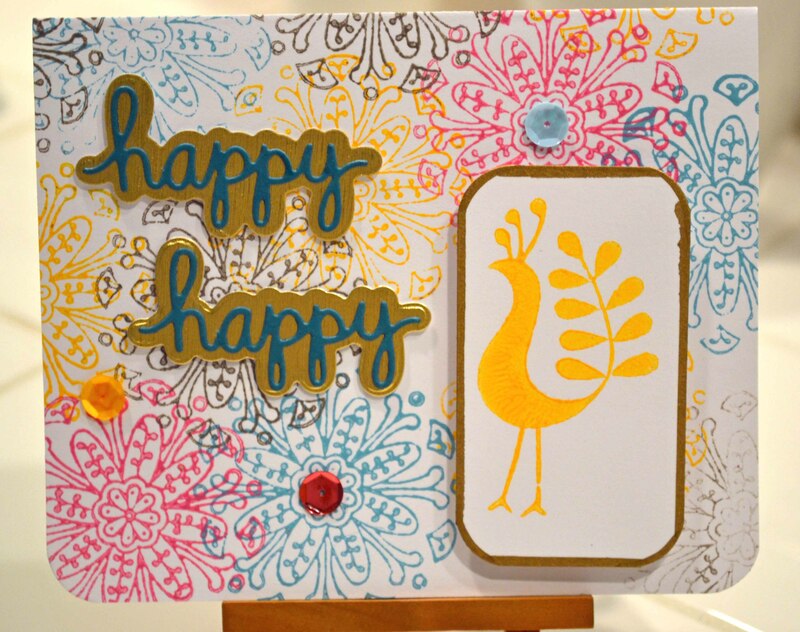 I also cut out one of the stamped birds, edged it with gold and used a foam pop dot. Using up all the scraps! 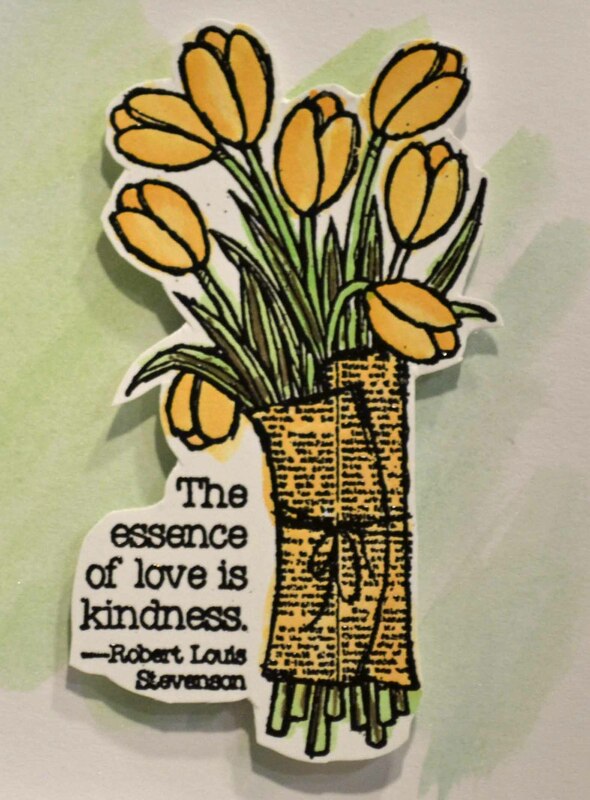 The sentiment is an old one from Hero Arts. The letters are filled with with sparkly gel pens and a touch of Ranger Stickles glitter glue adds sparkle. 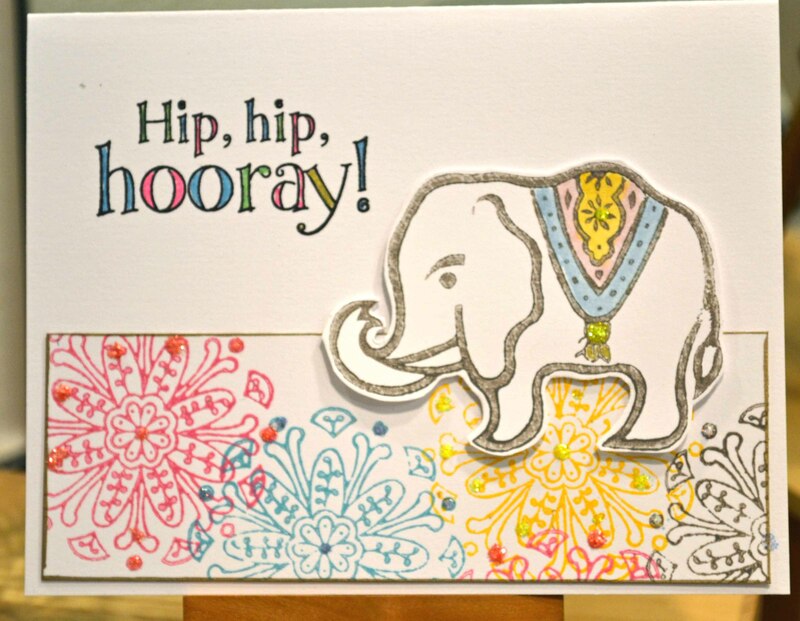 Here is a simple card, just the elephant and a sentiment from Kaisercraft’s Confidence stamp set. — Liquid acrylic paint works best. Regular stamping ink is not recommended. 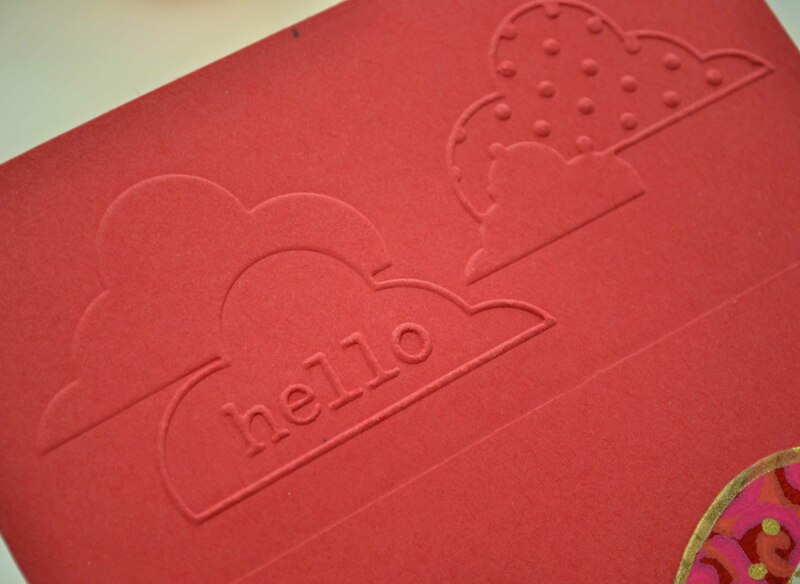 — Whether printing on fabric or paper, work on a cushioned surface, such as a towel, mouse pad, etc. — Apply paint on a sponge and tap the paint on the stamp. — Clean stamp before acrylic dries. 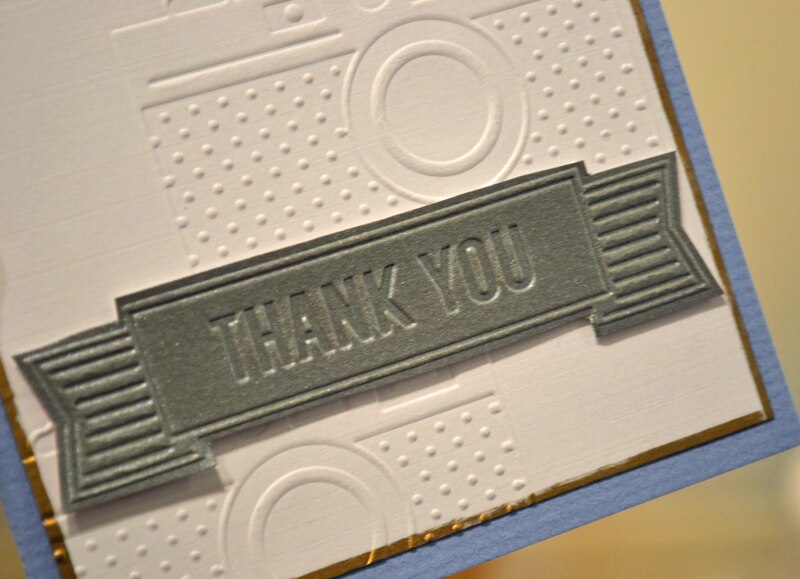 To clean, wash the stamps with warm water and a brush (an old toothbrush works well). Dry them well with a soft towel and let them dry in an open place. Do check out the Blockwallah site! Thanks for stopping by.